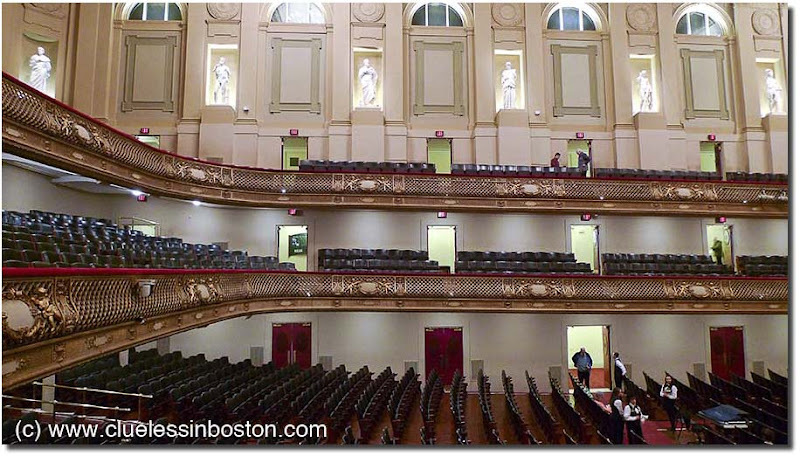 The other night at Symphony Hall. 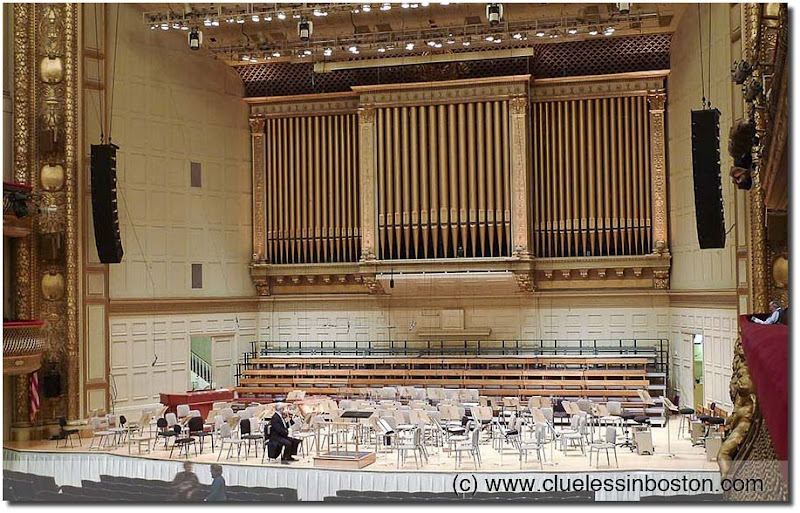 What an impressive and beautiful hall!What what did you hear there?..the sound must be fabulous in such a place! as if it's waiting to be filled with music...remembering the last time it was filled with sound. I wonder what they were playing. Not Metal music I guess. Beautiful place. haha, i recently was there too. i think you had a balcony seat? did you goto Jaap van Zweden? (thats where i was). i still didnt check my pictures, but it was with my digital camera and im sure they arent as nice as yours..
Man, it has been a loooooonng time since I was last there. I'm surprised you weren't escorted out for taking the photos.